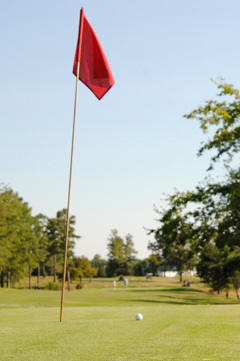 Sullivan's Par 3 is a locally owned public course that offers fun for every member of the family. Our challenging 18-Hole Par 3 golf course is great for beginners as well as the seasoned pro looking to improve his/her game. Sullivan's Par 3 Golf and sports center is located on N. 16th Street extended in Murray, KY, and is open from 7am to dark, seven days a week. An Executive Par 3 Course offers many advantages. The Par 3 Course is designed to encourage the beginning golfer with reachable greens. The Par 3 course is great for busy professionals who may not have the time in their schedules for a longer course, but can easily play 9 or 18 holes on a Par 3 course. Sullivan's Par 3 course is also great for the experienced golfer who wants to practice on the short game. Every golfer knows that the game is won and lost in short game, this course is a perfect way to practice getting up and down. And don't let the Par 3 name mislead you, Sullivan's Par 3 is a highly challenging course with rolling hills, curving fairways and over 2,500 yards of fairway.